The Burns-Porter Act, formally known as the California Water Resources Development Bond Act, was placed on the November 1960 ballot and was passed by the people of California. This started the State Water Project (SWP), or California Aqueduct as it is commonly known in the Antelope Valley. It also authorized agencies joining the SWP to collect taxes within their boundaries to repay the cost of building the SWP. In the early 1960s, property owners in Juniper Hills were given the opportunity to decide on whether they wanted to pay a special state water tax assessment and be included in Palmdale Water District’s (PWD) service area. The tax assessment and inclusion meant that they would be paying for the right to receive water from the SWP, which PWD joined as a contractor in 1963. At that time, most of Juniper Hills was sparsely populated, and most people depended on wells on their properties. Less than half of the property owners opted to be included in PWD’s service area. Historical records show that there were multiple efforts in 1966 by the Palmdale Irrigation District (which became known as Palmdale Water District in 1973) and Juniper Hills residents to create an Improvement District so a water infrastructure could be built in the remote area that is south and upslope of Littlerock and Pearblossom. The proposed Improvement District never came to fruition. Today, this unincorporated area of Los Angeles County that has several hundred homes and less than 1,000 residents is still reliant on wells and hauled water. The special assessment tax that property owners pay annually in their tax bills goes to pay off the SWP bonds that are currently due to expire in 2035. Palmdale Water District does not absorb this special tax payments, but instead turns over the money to the California Department of Water Resources to pay off the bonds. Property owners are assessed this tax in their annual Los Angeles County Property Tax bill. The rate for the 2017-18 year is $0.265906 per $100 of land value. The rate changes annually. All property owners within PWD boundaries, including some Juniper Hills residents, are obligated to pay this special assessment tax. This includes property owners who are not currently receiving water service. This allows them access to water from the SWP when it is needed. 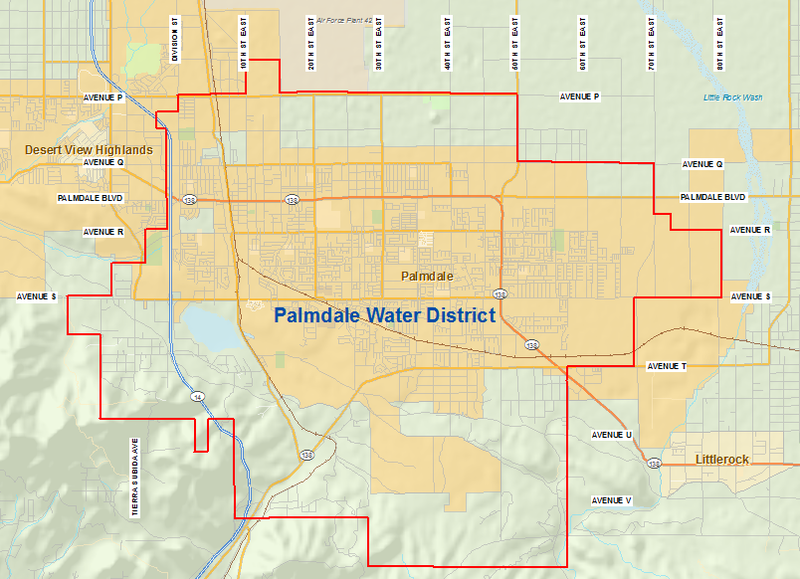 Juniper Hills residents, who live within Palmdale Water District’s service area, are in the District’s Division 2. Each resident has voting rights for the Division 2 candidates during election years. The next election will be November 2018. Currently, the area is represented by Director Joe Estes. Palmdale Water District is working with water haulers on a plan for them to access PWD water and transport it to Juniper Hills residents who live within its boundaries. Property owners will be required to give PWD-approved haulers copies of property tax bills to verify they live within the jurisdiction. Once the properties are verified by PWD, the haulers will be able to access water at a determined site; charged the construction water rate; and allowed to move water to Juniper Hills residents. The haulers would be responsible for ensuring the water quality once it leaves PWD’s pipes and is transported with their trucks.